You’ll find lofts with high ceilings and abundant natural lighting hidden away inside industrial buildings. Flatiron rentals include prewar apartments on the district’s side streets, while main avenues offer designer shopping and grand architecture. The new conversion at 254 Park Avenue South is one example of a stylish prewar condominium, and this condo trend repeats throughout the neighborhood. 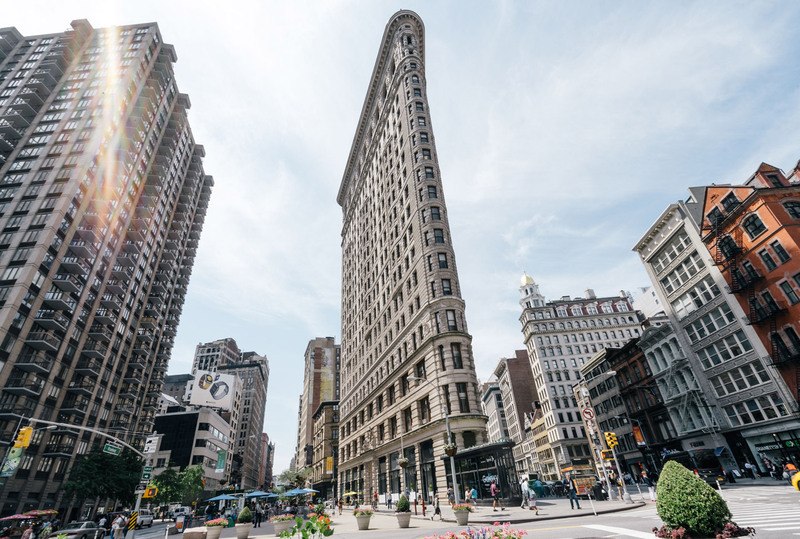 At the district’s center is the renowned Flatiron Building, positioned at 23rd Street and Fifth Avenue. This steel-frame skyscraper is just 6.5 feet wide at its smallest point and stands 22 stories high. Built in 1902, this triangular building is a prime example of the Beaux-Arts architecture you’ll spot throughout the neighborhood. 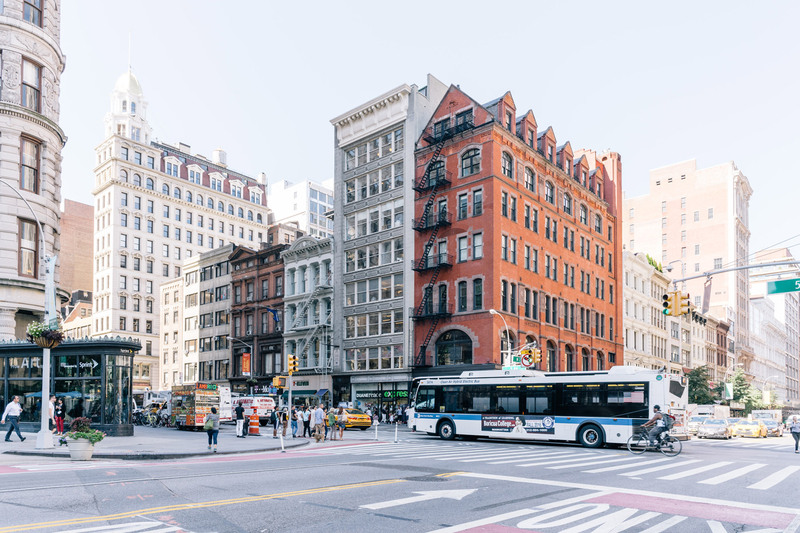 Because Flatiron has a high percentage of landmark buildings, apartments and retail spaces are often housed in elaborately detailed 19th-century facades. When it comes to dining, this relatively small neighborhood manages to pack a high volume of heavy hitters. The Gramercy Tavern’s fame stems from locally sourced ingredients and rustic farm-to-table influences. Opened by Danny Meyer in 1994, the restaurant’s dining space features lush floral arrangements and colorful murals. Chef Michael Anthony creates seasonal menus for both the Dining Room and more informal Tavern sections of this always-bustling restaurant. Former Gramercy Tavern partner Tom Colicchio went on to establish Craft. This chic, understated space serves Greenmarket-inspired dishes with a minimalist elegance, from roasted shishito peppers to salmon tartare. Another critical darling is ABC Kitchen, which uses a similar farm-fresh ethos. Headed by celebrity chef Jean-Georges Vongerichten, the constantly evolving menu includes house-made pasta dishes and sustainably sourced seafood. Italian marketplace Eataly opened in 2010 and quickly became a must-visit Flatiron destination. At this indoor piazza, you can stock up on homemade pasta, pastries, espresso, wine, cold-pressed olive oil and seasonal specialties like truffles. 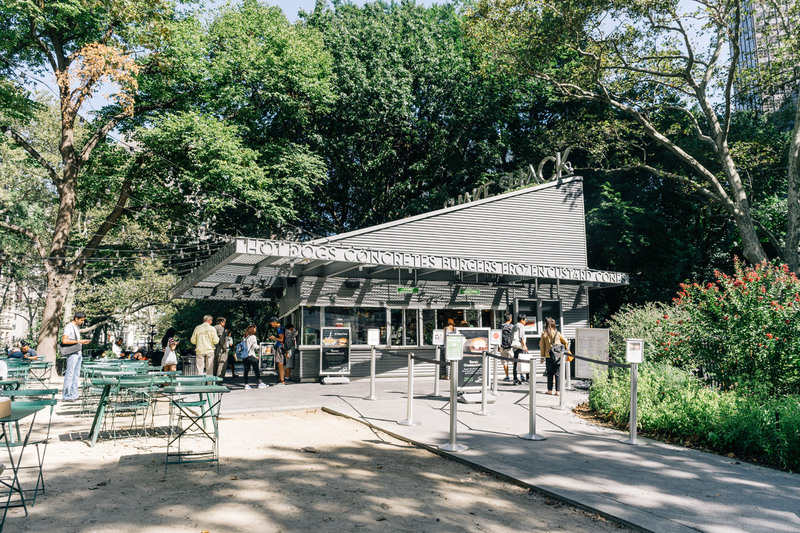 There are also seven restaurants, each with its own theme, from seafood to vegetables; Birreria even has rooftop bar with views of Madison Square Park. For more Greenmarket goodies, Union Square is home to one of the biggest farmers’ markets in the city. In the peak summer months, more than 140 regional fishers, bakers and farmers set up shop to provide seasonal produce, artisan cheese, heritage meats and more. The square bursts into bloom with freshly cut flowers, and performance artists keep the crowds entertained. Flatiron’s bars and lounges provide a chic backdrop for relaxing with a cocktail in hand. Many sport a vintage look, like the sleek, art deco-style Flatiron Lounge, with its vintage cobalt glass tiles and stained-glass lights. This craft cocktail bar is the go-to place for jazz and a decadent, bygone vibe. Flatiron Hall is another timeless space, featuring a Victorian-style long bar and leaded glass arches. Sip on a Greenpoint Beer Works brew or try a classic cocktail. Its spacious environs make this beer hall ideal for large gatherings, and it hosts a weekly trivia night. For a unique night out, the neighborhood is home to its very own ping-pong social club, SPiN New York. Live music, DJs and a full kitchen complement the 17 game tables. Sixth Avenue was formerly nicknamed Ladies’ Mile due to its concentration of genteel department stores. Now a historic district, it was an important retail center in the late 1800s, known as the “heart of the Gilded Age” for its opulent boutiques. Many of the Flatiron District’s current shops remain in these protected Beaux-Arts, Romanesque and Neo-Renaissance buildings. Chain stores like Coach and H&M line Fifth and Sixth avenues, still a major retail destination to this day. The Club Monaco flagship store offers a full lifestyle experience, complete with blooming trees and an in-store library to peruse. There’s also a concentration of home and design stores, including branches of Marimekko, Poggenpohl and ABC Carpet and Home. Sleek international chain stores blend with quirky specialty shops like Abracadabra, where New Yorkers go year-round to buy costumes, wigs and magic tricks. The Flatiron offers fine arts and entertainment to suit to a variety of interests. Art galleries like Porter Contemporary, for example, attract a broad audience. Founded by Jessica L. Porter, it showcases international artists appealing to established and new collectors alike. 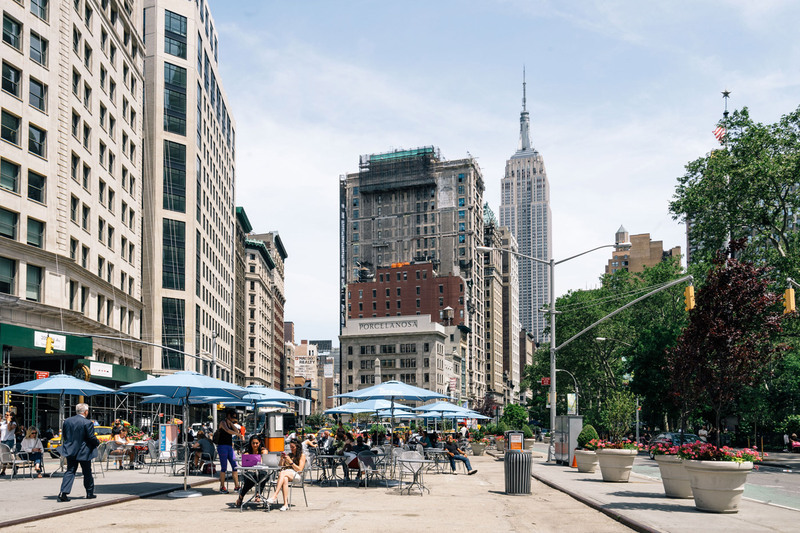 Union Square is a hub of activity for neighborhood artists. Galleries feature New York-centered artworks, and portrait painting classes take place in the square. You’re bound to see intriguing street art scattered throughout the neighborhood, from murals to live performances.